My husband Keith told me one day that if anyone could find tractor connections in Hawaii, it would be me and we literally stumbled on a connection while walking around the beautiful Hilton Waikiki Hawaiian Village hotel. And while it is hard to believe that this tropical paradise began with industrial giant, Henry Kaiser, it is true! When he built the hotel it was a controversial issue. He took the former Niumalu Hotel and 20 acres of beach to accomplish his goal. I can see how turning paradise into a tourist attraction would cause a bit of an uproar. I must say though that the hotel and village is an oasis in the busy Honolulu city which is located on the busy island of Oahu. Henry Kaiser created the Hawaiian Village only after his industrial success. Born Sprout Brook, New York, in 1882, Kaiser moved to Spokane, Washington, in 1906. Kaiser and his wife Bess Fosburg Kaiser founded the Henry J. Kaiser Company, which specialized in road paving. Kaiser owned three shipyards and built ships. During World War II Kaiser built ships and owned three shipyards in Portland and Vancouver. One reference I found where Kaiser was interviewed by several individuals in Hawaii shared that the Kaiser Paving Company pioneered the switchover from horses and mules to motor-driven tractors and introduced diesel engines on construction machinery and equipment. Kaiser joined together with Joseph Frazer, President of the Graham Paige Corporation and they b built automobiles for a short time from 1945 to 1953. Henry Kaiser is also famous for his health care efforts that he established to prevent illness among the workers on the Grand Coulee Dam. The coverage is still offered today in some states including Hawaii. Kiser passed away in Hawaii on August 24, 1967 leaving most of his enormous fortune to the Kaiser Family Foundation for health-related research. 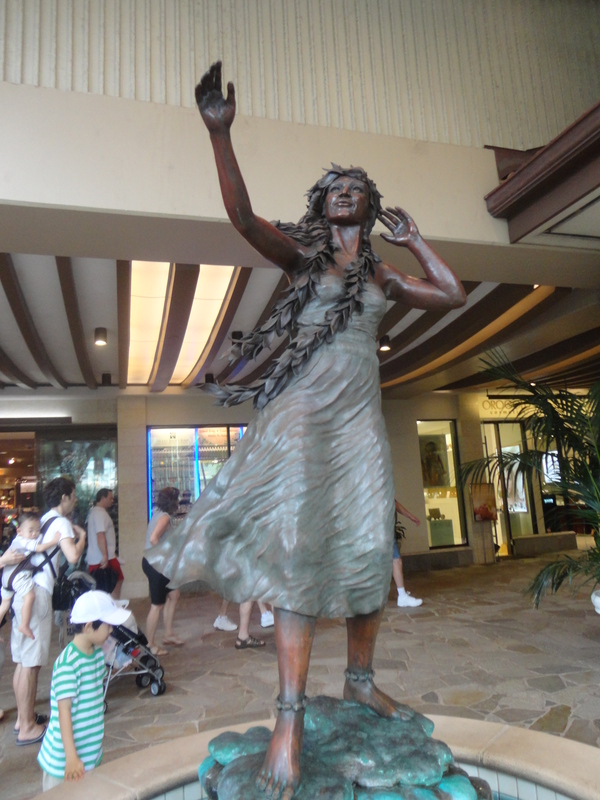 While in Oahu we saw firsthand his work on the island and totally enjoyed the beauty of the Hawaiian Village which offered pools, beach, entertainment and a bit of history!